Last weekend I sat alongside four amazing women as we led a discussion on Food Blogging for Change at the BlogHer Food Conference in Atlanta. Later this week I’ll be writing a bit more on my thoughts of what bloggers can be doing to help change the world (we ran out of time before I could share all the “takeaways” in my notes!). Today, though, I wanted to expand upon one of the answers that I did get to say. 1. The ideas of “organic” and “conventional” are backwards and need to be swapped. If you step back for a moment and objectively (!) look at the way we’ve set up “Organic” labeling rules, it’s so backwards it’s almost laughable. If a farmer wants to label her food “organic,” that means she needs to jump through a lot of hoops to make it happen. These strict requirements are costly, time consuming, and difficult, to say the least. However, if a farmer wants to sell “conventionally-grown” food (to use Whole Foods Market’s term), she can spray synthetic pesticides all over the food (among other allowances). Sure, there are rules she’d have to follow, too, but by spraying poison (pesticides are by definition poison, of course), the farmer is able to produce crops cheaper and faster. Oh, and they’re also allowed to genetically-modify the foods to help, too. So here’s what I suggest: Instead of labelling organically-grown foods “Organic,” let’s just make Organic the norm, and slap warning labels on all foods that don’t meet that high standard. Think opt-out, not opt-in. This food may have been sprayed with pesticides and/or may have been genetically-modified, with no long term studies having been done on the possible effects. 2. Eliminate marketing language from all food packaging. “Nutritionism” — Touting added vitamins or minerals (even if we get plenty of that nutrient in our regular diet). Using the word “Natural” — which is an unregulated, effectively meaningless and deceptive term. (“Gourmet” is a similar culprit — hat tip to Robyn O’Brien). Using cartoon characters or other mascots that are irrelevant to the food but entice children (and adults, let’s be honest) to purchase foods that wouldn’t exist in nature. But really, how true is that? I have to admit, even though I know “Natural” is totally meaningless, when I see that on a package, there’s still the little voice in the back of my head that thinks, “Hey, this is good for me!” After years of practice, I can quickly catch myself doing it — but I’m still not completely immune (hey, I’m human, after all). My point is this: Let’s let food speak for itself. If it’s real, whole food, it doesn’t need a label. And if it’s a food product, we should be able to identify the ingredients as whole foods, and then go from there. Marketing exists to sell products, not to make you healthier. 3. Stop subsidizing corn and start subsidizing fresh, whole fruits and vegetables. In 2009 the United States subsidized corn production to the tune of four billion dollars. This is not news, of course: From 1995 to 2009, total corn subsidies comes out to around $74 billion. And how much did we subsidize whole, fresh fruits & vegetables? You know, the kind you get in the produce aisle (or better yet, at the farmer’s market)? In 2009 they collectively received just $825 million (PDF, page 6). Yup, corn alone gets $4 billion, and all the other fruits & veggies have to divvy up less than 25% of that. 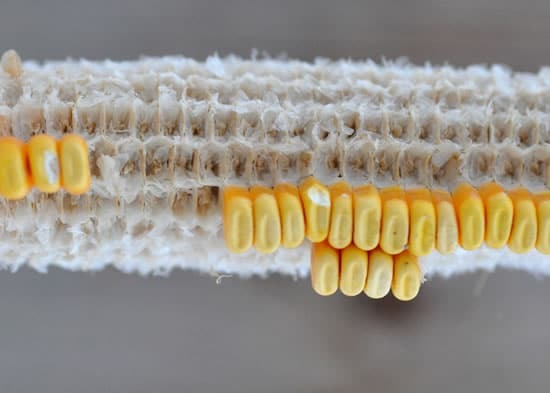 About 80% of this artificially-cheap corn gets turned into livestock feed, about 5% is used to make high fructose corn syrup, and the rest is used for dozens of other food additives and ingredients (and a bit goes to industrial uses, such as ethanol). Indeed, corn has become the deep foundation of the American food chain. What would happen, say, if we were to suddenly — no, not even suddenly — let’s say gradually shift our priorities. Let’s make corn less inexpensive, and make fresh, whole fruits and vegetables significantly cheaper. You think people’s eating habits and priorities would change. You bet your sweet fanny they would. Sidenote: I was just playing around with the Environmental Working Group’s impressive Farm Subsidy Database, and entered my zipcode, 90405. The search results showed 59 people who have received subsidy funds since 1995. Last I checked, there aren’t too many farmers in Santa Monica. Try it with your zipcode, and see what you find. Wondering what my co-panelists’ answers were? Mrs. Q, with her dedicated and mission-critical focus on school lunches, said that (1) French Fries should no longer be allowed to be considered a vegetable, (2) Chocolate Milk “needs to go,” and (3) we need to ban processed meats. Michelle Ferrier, who emphasizes the need for local food and farmer’s markets, said (1) local governments need to recognize that food security [access to healthful food] needs to be viewed as important as everything else, (2) we need to bring back Home Economics — at the elementary school level, and (3) we need to change school lunch policies to a “last child – first child” policy . Bettina Luescher, spokeswoman for the incredible World Food Program, narrowed it down to one biggie: No funding cuts for child hunger programs, ever. So now it’s your turn: What’s your wishlist food policy fix? My big beef is GMOs and I would like to see all GMO foods be required to have labeling. Also there is a new GMO salmon coming out and CA is poised to pass a law requiring labeling on it, but it’s stalled in legislation right now. I am also distraught over the irradiation of almonds. They don’t mention that any place, but they irradiate them and most of the nutrition is eliminated. Raw almonds from the farmers’ market is the way to go, but they’re about three times as expensive, and I go through a lot of almonds, as they are my main snack. 3. Figure out a solution to our over-consumption of meat. Great list, Kristie. As for #3, the Meatless Monday campaign is doing a terrific job on that goal. Just recently, they calculated that at least 50% of all Americans have heard of the campaign, and something like 18% (if I remember correctly) have changed their diets in some way because of it. It’s a small step, but it’s something in the right direction. Just saw this post – couldn’t agree more. I wrote about your third point (subsidies) yesterday and am glad to see others shedding some light. Important not to see this swept under the rug amid so much other political turmoil. Just read your post, and I couldn’t agree more! I’ve been thinking a lot about this, and have come to the sad conclusion that “voting with your dollars” is not nearly sufficient. That may improve the situation some, certainly, but it’s not going to fix the subsidy system. In fact, it could be making it worse — since we’re playing by the existing rules, there’s less incentive for the government to change how subsidies work. We need to find a way to get our legislators to take action and reform farm subsidies. That’s a huge challenge, since we’ll be working against the tens of millions of dollars of lobbying efforts of big ag.